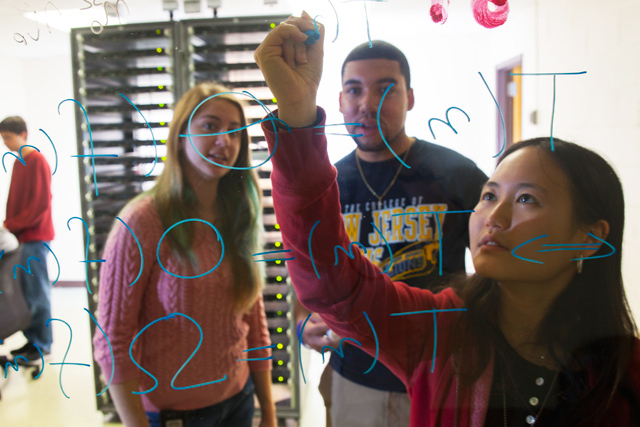 Computer science at TCNJ is hands on, team based, and project centered—just like the real world. 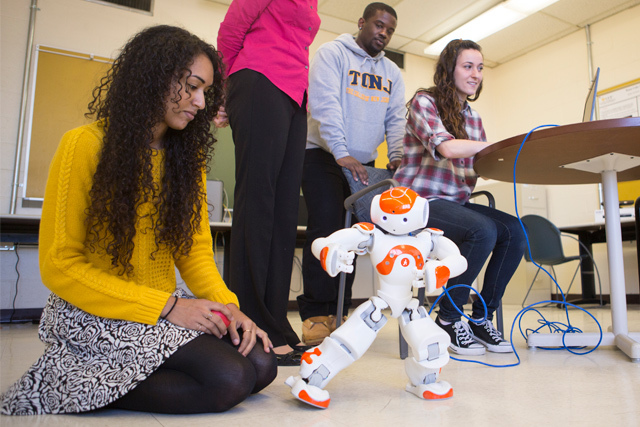 Take courses in exciting fields—artificial intelligence, computational biology, cloud computing—while collaborating across disciplines to solve real problems through computing. Our curriculum is continually revised to incorporate the latest advances and technologies, ensuring graduates are well prepared for today’s challenges. 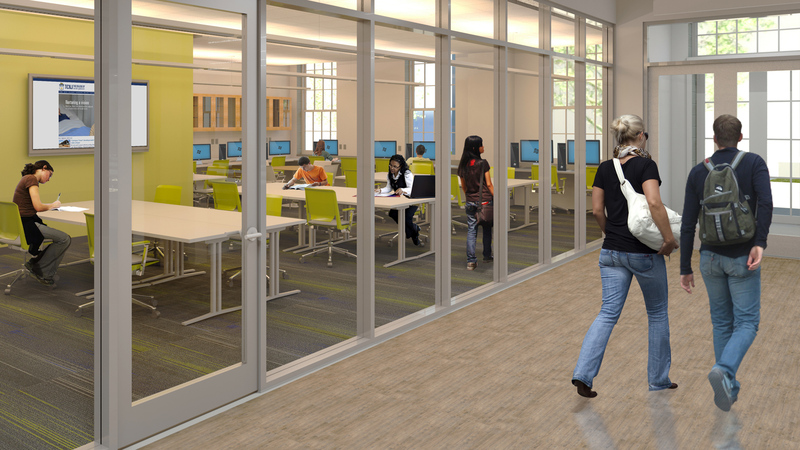 Collaborate with others on interdisciplinary projects, applying computer science to real community needs. We challenge you to push beyond data and code, integrating computational thinking with critical analysis. Our grads end up at cool companies (Google, Etsy) and great grad schools (Columbia, Stanford).